On June 25, 2015, the Occupational Safety and Health Administration (OSHA) issued an Enforcement Memorandum entitled: “Inspection Guidance for Inpatient Healthcare Settings.” The Enforcement Memorandum expands the scope of inspections OSHA will conduct at hospitals, nursing homes and other healthcare facilities as part of an on-going enforcement effort targeting the healthcare industry. This initiative follows the April 2015 expiration of the Nursing Home National Emphasis Program, which also focused on similar hazards. OSHA’s increased scrutiny of the healthcare industry can be attributed to recordable injury and illness rates reaching nearly twice the general industry average. OSHA believes the majority of these recordable injuries are preventable if recognized practices and procedures are implemented. While the Agency’s Enforcement Memorandum states that “the goal of this policy is to significantly reduce over-exposures to these hazards through a combination of enforcement, compliance assistance, and outreach,” history with this Administration informs us that this initiative will be heavily focused on enforcement. The range of hazards under this initiative, coupled with the lack of specific regulations covering most of the targeted hazards, also signals a significant increase in citations to employers that are in compliance with all applicable, existing regulatory standards. OSHA maintains that even without formal regulations to address these hazards, this targeted enforcement initiative is justified under the Occupational Safety and Health Act’s “General Duty” clause. Past enforcement efforts addressing hazardous ergonomic conditions under the General Duty clause have resulted in a relatively small number of citations, with under 15 General Duty citations brought in this area in the last three years. Although it is too early to tell how significantly enforcement activity will increase, it is clear that OSHA’s launch of this Initiative is an attempt by OSHA to use its enforcement leverage to force the healthcare industry to make proactive changes consistent with the Agency’s guidance in the area of patient handling and the other areas of focus. Historically, OSHA has addressed healthcare hazards through “Compliance Assistance,” issuing a number of e-Tools and other resources, including education and training materials, in an effort to educate the industry how to reduce hazards. 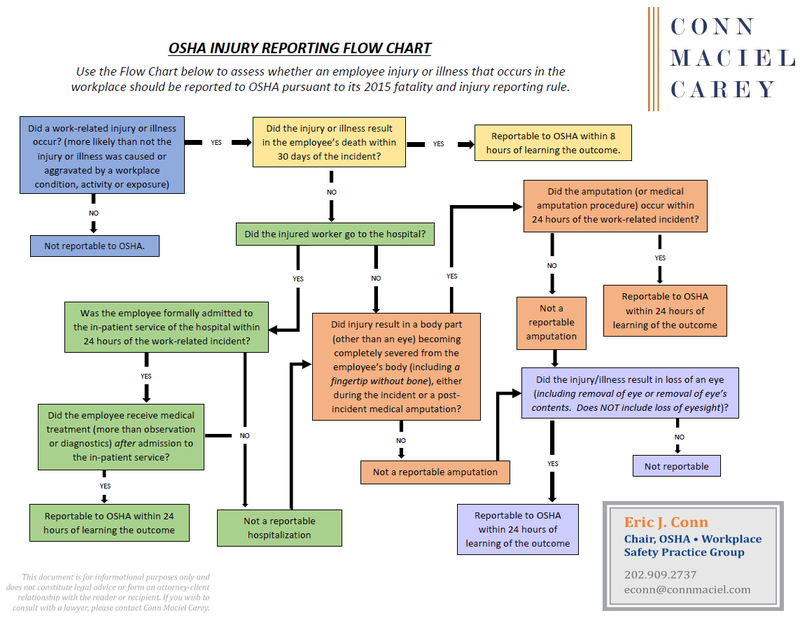 Examples of these materials include an updated guidance document on workplace violence in the healthcare sector this Spring, as well as a number of recent e-Tools specifically addressing ergonomics issues. The e-Tools add to the comprehensive ergonomics guidelines applicable to nursing homes released in 2003. Recent OSHA enforcement actions, however, demonstrate a clear trend favoring increased enforcement over compliance assistance. In addition to the June healthcare enforcement initiative, earlier this month, OSHA released a Compliance Directive that updated the inspection procedures for protecting healthcare workers from tuberculosis. Although OSHA stated that the Directive introduces no new enforcement burdens on employers, its updated inspection methods include new screening procedures and a more nuanced classification system for healthcare settings, among other changes. The extensive guidance materials OSHA has issued in this area can be helpful tools for industry in identifying and addressing hazards. From an enforcement perspective, however, we expect that the guidance will be used by OSHA to compensate for a lack of regulatory standards, and used as evidence to demonstrate the existence of “recognized” hazards in the industry and feasible means of addressing the hazards. Used in this manner, OSHA is positioned to cite its own guidance to establish de facto standards supporting General Duty clause citations. With increased scrutiny of the healthcare industry and inspections imminent, there are several steps we recommend employers take to ensure compliance and limit potential liability. First, we recommend hospitals and nursing care facilities conduct audits focused on at least the five hazards that we know OSHA will scrutinize. These audits will allow employers to identify gaps between current practices and applicable standards or OSHA guidance. We recommend the audits be conducted in a manner that will allow the audit findings to be protected under the attorney-client privilege, at least until all audit findings have been addressed. We also recommend familiarizing facility administrators with OSHA’s Enforcement Initiative, applicable standards, and relevant OSHA guidance and e-Tools to ensure that your facilities are aware of OSHA’s expectations and knowledgeable about the likely focus of upcoming inspections. Finally, we encourage you to consult with counsel to discuss how to best prepare for an OSHA inspection. Early preparation efforts will greatly reduce your chances of receiving a citation as well as demonstrate an increased effort to ensure employee health and safety. In the meantime, here is a link to an OSHA Inspection Toolkit designed to help employers prepare for and manage an OSHA inspection. OSHA Guidance for Hospitals and Health Care Facilities – includes fact sheets, self-assessments, and industry-recognized best practices.